You’ve probably heard someone say that getting older is better than the other option. We happen to agree, but we also know that getting older is easier for some people than it is for others. At Pufalt-Pauley Insurance Agency, we value the wisdom and experience of our elders. We also provide practical assistance for aging through insurance products. With the help of our network of insurance carriers, we offer Medicare supplements and long-term care insurance. Our service doesn’t begin and end with selling these products, however. We work with our customers to help you find insurance solutions to meet your needs, and we also provide coverage reviews to help you through life’s transitions. Those facing retirement are often confused by the many decisions to be made concerning Medicare. A lot of information is available, but some of it is incorrect. Other information is confusing and difficult to understand. Our insurance professionals take the guesswork out of choosing the right Medicare supplement for your needs. 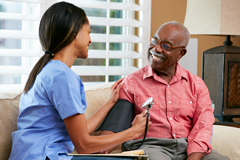 We’ll explain everything you need to know about Medicare Parts A and B. We’ll help you understand the benefits and drawbacks to a Medicare Advantage Plan. Most important, if your health or life circumstances change, we’ll be here to help you transition to a plan that better fits your situation. Many people face aging with fear, but the independent insurance agents at Pufalt-Pauley Insurance Agency are here to help. Call today to learn more about how we can help you get the insurance products you need. With our help, you can relax and enjoy your retirement.